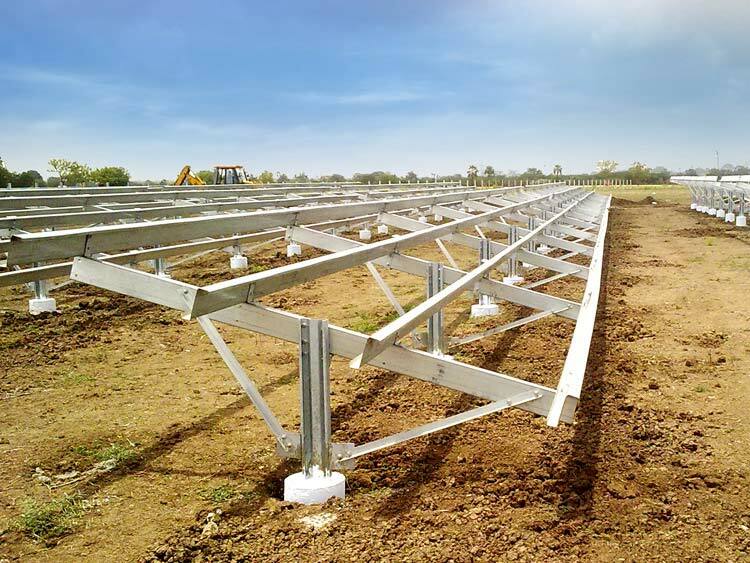 We are reckoned among the eminent Manufacturers and Suppliers of Solar Steel Mounting Structure. The structures we make available are designed to support Solar PV panels. Our structures are manufactured in compliance with set industrial norms. Buyers are free to place bulk orders of these with us and we ensure their timely execution. We also have an in-house tool room that caters to the requirements of projects with various sectional requirements. These unmatched features have enabled us to service the requirements of various customers, thus establishing us as the market leaders in Solar Module Mounting structures. The biggest advantage that customers have in choosing Pennar for their Solar Module Mounting Structures is the strategic location of manufacturing plants. Our plant at Sonipat is the epicenter of solar projects in Gurgaon, Panipat and other neighboring states. We supply structures to most EPC companies, project developers, independent power producers, captive power units for commercial & industrial entities, and several others.